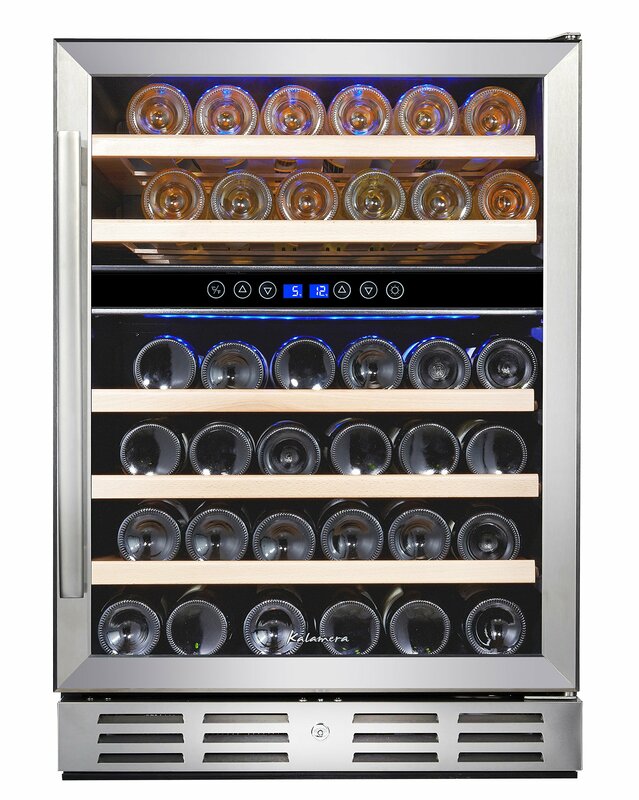 Home › Home and Kitchen › Kalamera 24'' Wine Refrigerator 46 Bottle Built-In Or Freestanding With Stain..
Kalamera 24'' Wine Refrigerator 46 Bottle Built-In Or Freestanding With Stain.. Size: 46-bottle Big capacity could hold 46 bottles in dual zone temperature control. Sleek andmodern look.